In the south of Madagascar more than 82% of the population are poor, subsistence farmers reliant on access to land, forest and natural resources to survive. In the local context, communities are frequently isolated, disenfranchised and suffer multiple challenges to voice their needs, protect their resources and realise their aspirations. This is especially the case when state-corporate-INGO alliances determine policy and advance agendas without consulting local people in decisions that affect their lives. Antsotso community has lost significant food production capacity due to externally driven conservation of its forest and land. Conservation to protect the forest at Begamindidy-Ivohibe, some 50km north of the mine site where Antsotso is situated, is part of the Rio Tinto QMM mine’s Biodiversity Offsetting programme. 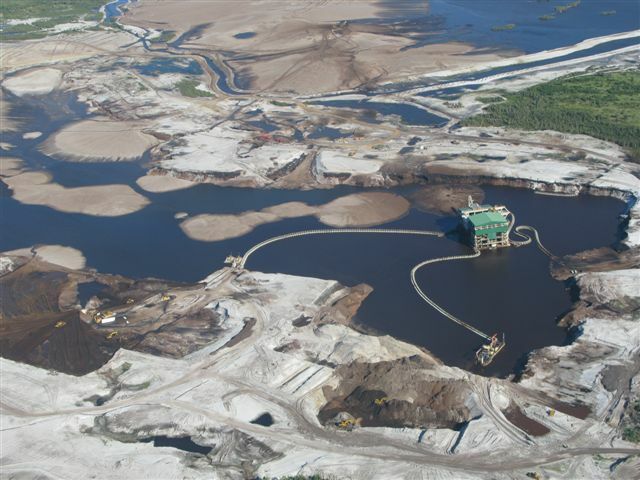 The ‘offset’ essentially seeks to compensate the loss of 6000 hectares of indigenous coastal forest, which is being dredged by QMM for ilmenite, by protecting and conserving other forest areas which it considers to be of similar or ‘equal value’ elsewhere. 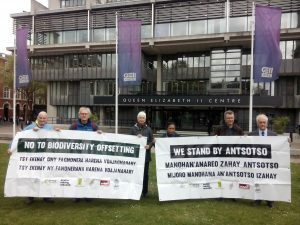 The conservation programme is enshrined under national, state laws and implemented in this case by a local affiliate of Birdlife International, Asity, in partnership with the Rio Tinto QMM mining operation in Anosy. The offset means that land and forest that has been used by the Antsotso community for generations to grow their food, and to cut trees to build their pirogues (wooden dugout fishing boats), is no longer available to them. 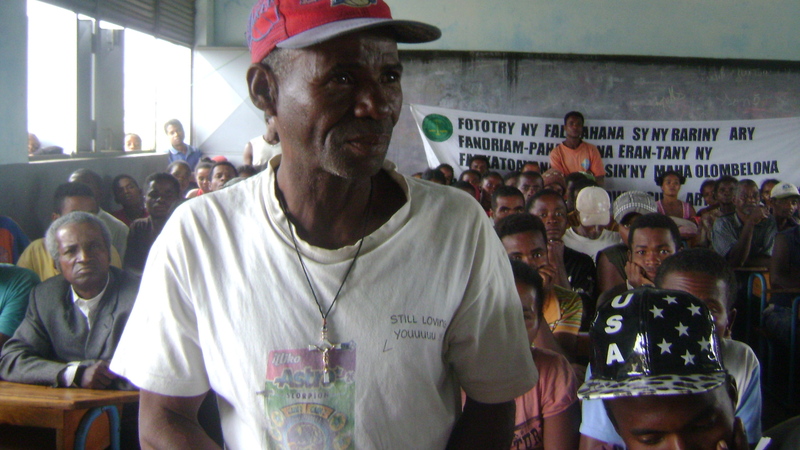 In losing the land and forest the community have also lost their food security and livelihoods. Where before they grew manioc close to the forest, they are now forced to grow food in sandy soil by the coast. The community reports that where before they could produce enough food in one season to last them two years, now it will only last two months. 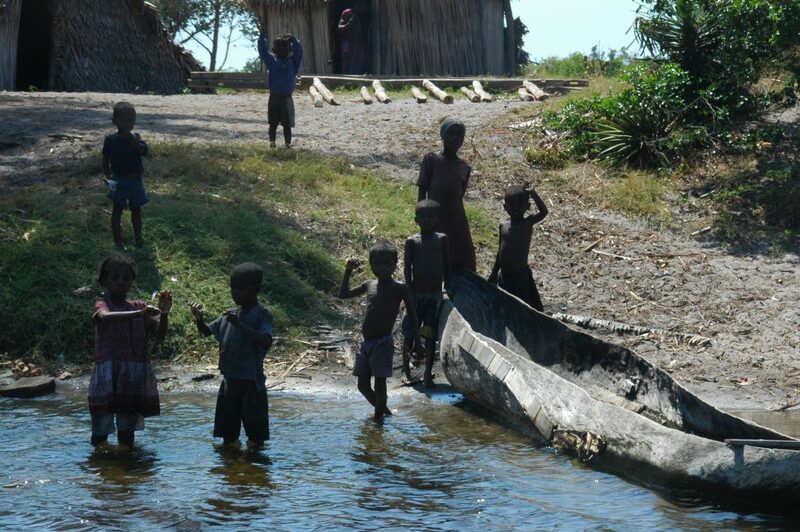 If they cut trees to make dugout canoes for their fishing, they risk fines and having the boats destroyed. When the offset programme was set up, there was no Free Prior Informed Consent with Antsotso as required under Articles 26 of the UN Declaration of Rights of Indigenous Peoples, and ILO 169. The community was given promises by Asity for tree planting projects and income generating activities that have failed to materialise in any viable form, and the resilience of villagers to survive on their traditional, ancestral lands has consequently been undermined. The community’s challenges have been brought to light through various international actions since 2015 including published research and reports, film, press articles, events and shareholder actions to raise questions to Rio Tinto at their AGM. On the ground in Madagascar the community face tough challenges to be heard and have their rights respected and protected. Most particularly, citizens are hindered by the power asymmetry that favours the state-corporate relationship above the needs of local people. Where the mining company has significant resources, and a plethora of technical advisers and lawyers to help them advance their interests, the community has little resource and no one to help them in the complex interface that ensues. 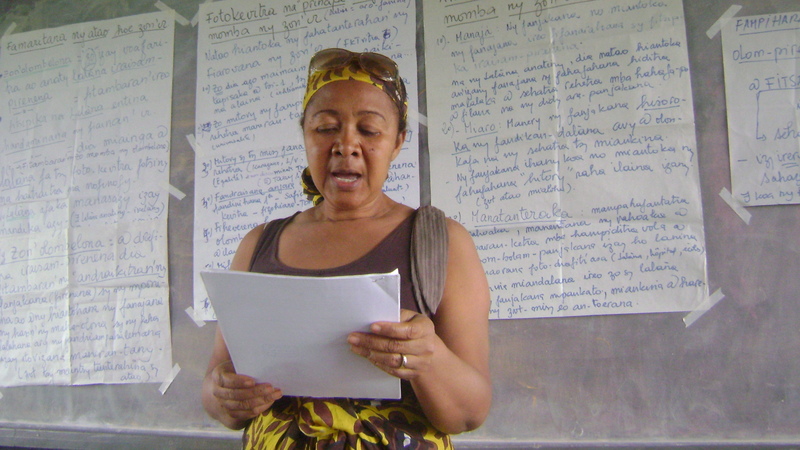 Last year, local people communicated to ALT UK that interactions with external actors visiting Antsotso were difficult and disabling for the community. For example, the mining company, QMM, was providing just a few days notice ahead of their arrival for important meetings at village level. This afforded the community no time to meet, discuss, develop consensus and prepare decisions amongst themselves, thereby undermining a cohesive approach to engagement and negotiations. In discussion about these challenges, and in response to local requests for assistance, ALT UK undertook to support an accompaniment programme for Antsotso. Supporting local actors for change and strengthening the ability of local CSO’s to respond to their constituents needs and agendas is in line with ALT UK’s current ‘GroundSwell’ strategy. Additionally, ALT UK brings practical working experience and understanding of natural resource management, food security and communications in the south of Madagascar. In order to respond to the community’s need for assistance, ALT UK entered into discussions with Trano Aro Zo (TAZ). 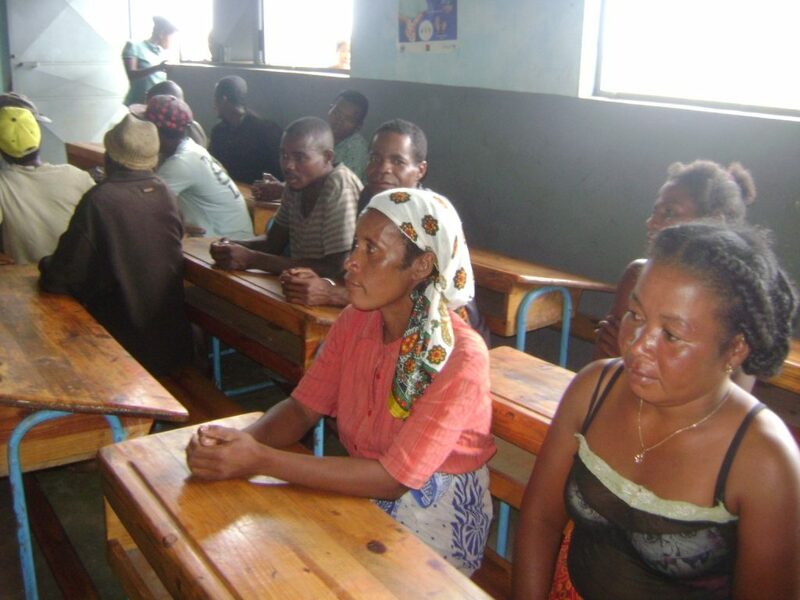 TAZ is a locally based Malagasy association mandated under the UN to provide human rights training in the south and provide citizens advice services to citizens, including in the Anosy region. TAZ trainings on human rights and their ‘citizens advice’ services are free except where they have to travel outside of Tolagnaro (Ft Dauphin, Capital of Anosy). Direct funding support via ALT UK has enabled TAZ to visit and deliver training and advice face to face in the community e.g. to cover petrol /travel costs, for the 13-15 hour round trip – to Antsotso; also any fees and training materials. It also covered the cost of other training or translation services as required. 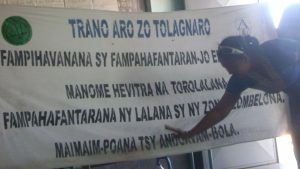 In order to ensure local ownership of the process, ALT UK established an MOU with human rights association Trano Aro ZO (TAZ). Under the MOU, TAZ provided assistance to the community according to their requests, including training in human rights, advice on rights and laws, and accompaniment at important meetings to observe, and record proceedings as a legal witness. This has afforded a level of transparency and protection, as well as education for the community. 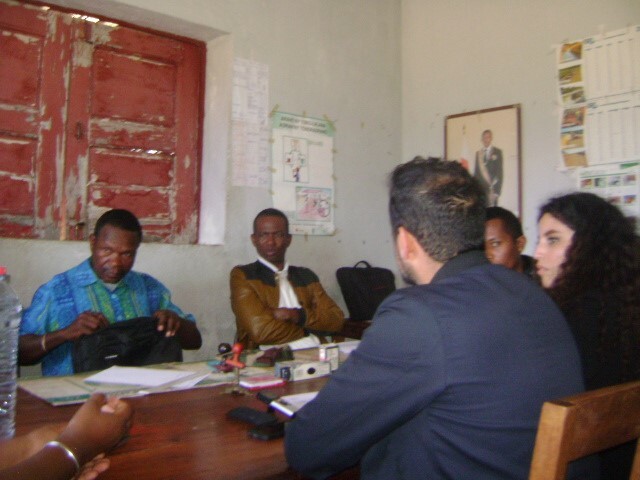 The MOU established the Antsotso community as TAZ’s client, with accompanying recognition of client confidentiality. It also ensured an advance of funds to be used for visits as necessary by TAZ. In this process, the community has determined their needs and decided the involvement of TAZ by issuing invites to meetings and requests for assistance. Arrangements were also made to include collaboration with a local, independent consultant to provide communications training and translation services as necessary. 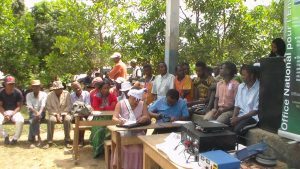 In August TAZ went back to Antsotso with the local consultant to gather feedback from the process and explain to the community the full range of their services for Malagasy citizens. The Antsotso community decided they wanted TAZ’s assistance going forward. 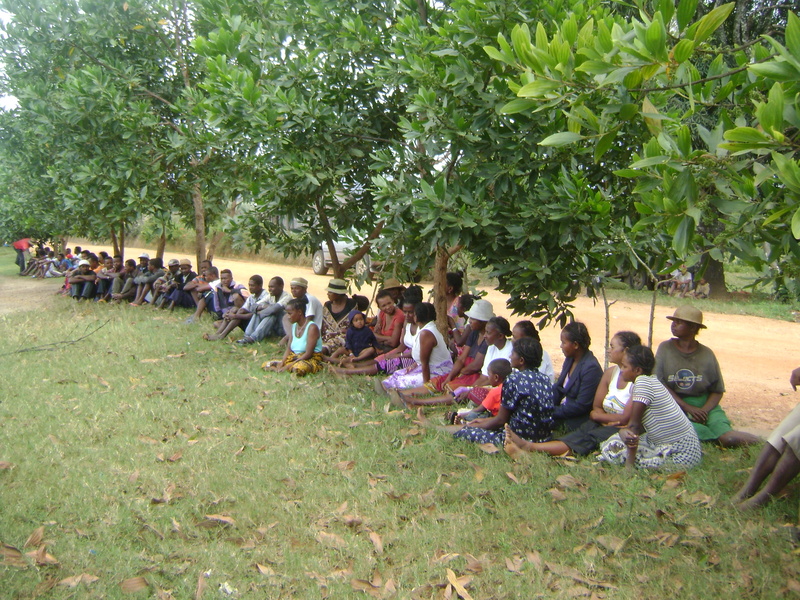 The community already has considerable experience in facilitating meetings through traditional and customary practices; but the practice of QMM and others agencies to call meetings with almost no warning and very little forward information does not lend itself to traditional forms of community decision-making processes. An orientation session in August therefore sought to discuss how best to reinforce and strengthen existing capabilities, while also offering insights and tools for managing interface with external agencies, in particular with foreign visitors e.g. from the mining company, international NGOs etc. The session was designed using a Communications for Development (C4D) approach to strengthen skills and increase confidence, for example, to demand an agenda, ample warning and information about who was coming to see the community and why. The session included understanding rights e.g. to information, and to cancel or rearrange meetings to ensure time for internal preparation and consensus building. 28 people, 24 men and 4 women, participated in the training. The training was designed for the participants to share their learning with their respective village groups and families. The local communications consultant led the session, with assistance from TAZ. The content was developed in collaboration with ALT UK’s Director, a C4D practitioner, with inputs from local experts. 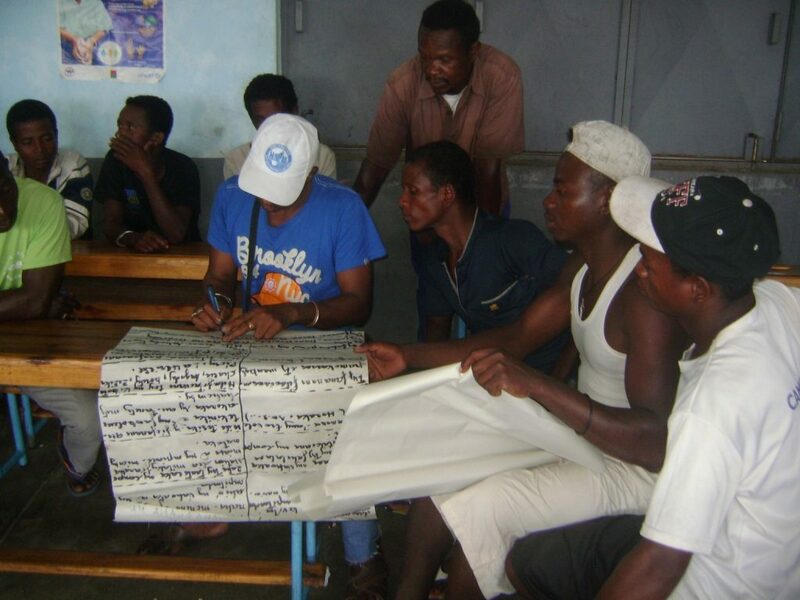 The session also included a participatory workshop to help villagers identify their challenges and solutions. “greatly appreciated the training and they could apply what they had learnt; even if we only talk about the fact that they can refuse, roll back or organize a meeting. They thanked us for that. Because before, they did not know these rights…. Otherwise, they will be happy to learn more about the rights that TAZ can teach them through training sessions”. 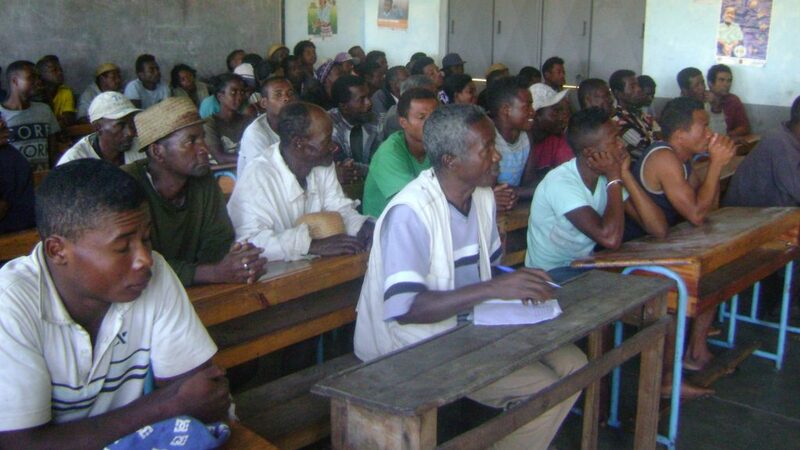 To respond to the community’s request and complement the orientation on communications, training was delivered to help the community understand their rights. TAZ designed and delivered the training in September 2017. All aspects of the UN Human Rights Charter were explained. Also the responsibilities of foreign companies to respect human rights, rights to recourse where appropriate, and laws regarding the forest. At the start of the session 134 people reported they had no understanding of their human rights; by the end of the session 135 people reported they had learnt about human rights and the related topics (Note: the Mayor had initially he said he knew about rights, but after the training expressed he had learnt new information). The community sent a letter of thanks to express their gratitude for the training . A total of 135 villagers participated, 92 men and 43 women. 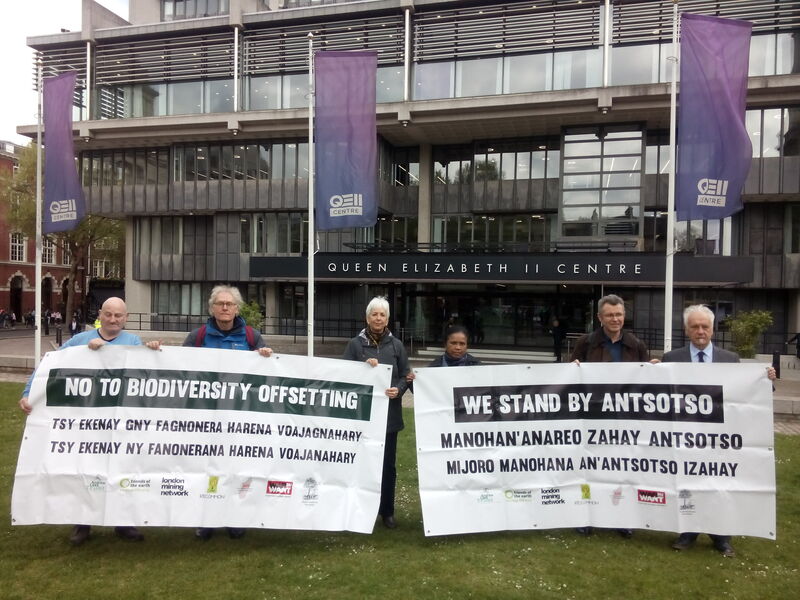 In the following months, through to January 2018, TAZ assisted in a further five meetings, including with the National Environment Office (ONE), QMM and Rio Tinto officers, Asity (Birdlife International’s local affiliate) and representatives from the regional authorities and national ministries. TAZ recorded proceedings, produced written reports, and provided an independent third party presence to observe how meetings were conducted. The community received these recordings and documents as testimony for their records. 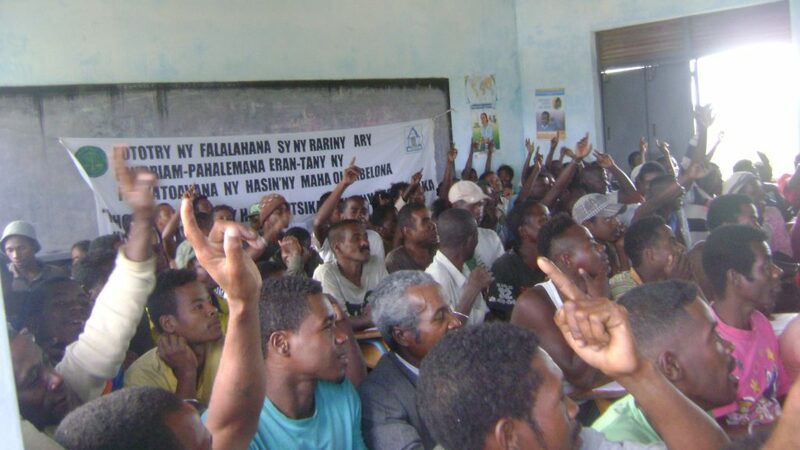 A range of issues emerged during these meetings including the broken promises of Asity and their destruction of fishermen’s pirogues; the lack of a formerly demarcated ‘user zone’ in the forest; and the frustration that no formal compensation package would be offered by QMM to replace the lost value of the forest to the community. 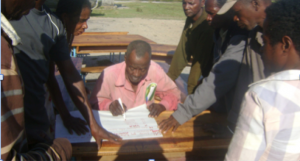 Over a number of months TAZ and the local consultant supported the community to organise and record their ideas around the challenges and solutions for mitigating their losses. In November, through participatory engagement, community members tabled a list of demands ranging from agriculture support, technical assistance, and boats (to replace pirogues) through to infrastructure and livelihoods opportunities. 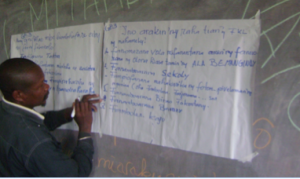 Although there were different views about the immediate priorities, the range of demands were captured across different groups from across the community and therefore could present a number of ways for the mining company and other funders to help improve Antsotso’s situation. The community reflected on their need to resolve internal differences and it was agreed a resolution process would be set up at community level. It is understood that QMM have initially offered to set up bee keeping and pepper growing livelihoods projects. However, these will not be sufficient to replace the community’s food security. Other initiatives will need to be offered to the community during this year if food shortages are to be mitigated in the longer term. The dialogue between QMM, the community and ONE is ongoing and there remain outstanding issues about demarcation of a ‘user zone’ and signage within the conservation area yet to be resolved. With the community’s permission, copies of the recordings and reports of meetings have been given by TAZ to ALT UK who has shared them with a Malagasy diaspora organisation that promotes the defense of Malagasy lands and is assisting the community with questions arising from the Biodiversity Offsetting arrangements in Antsotso. It is hoped that TAZ’s recordings will offer insights, assist analysis and inform considerations with regard to the community’s land tenure and rights going forward. This is the first time this kind of local accompaniment has been attempted with local mining affected communities in Anosy. There have been many challenges in the complex scenario. It has not been a discrete nor a complete process. Multiple actors are involved in Antsotso’s story, not all of whom are in direct communication with each other. Many interactions have occurred that may have influenced events but the details of these are not available for analysis, and some questions arising and lines of inquiry have not yet been concluded. 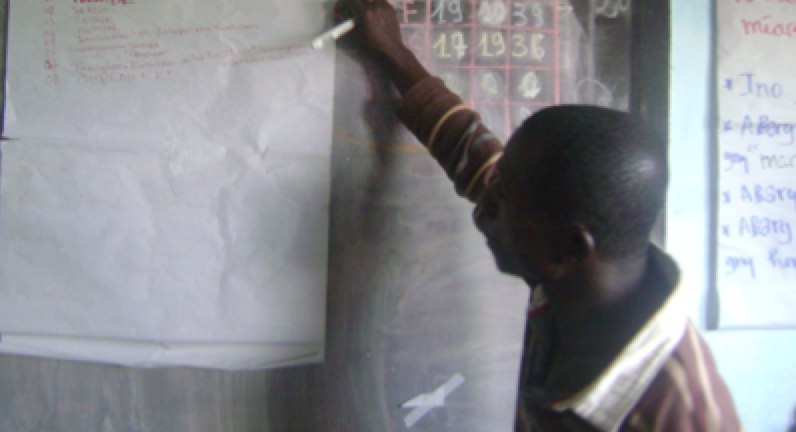 The process of reflection and capturing lessons is therefore ongoing. It is hoped that learning from this experience can inform future efforts to offer solidarity and support for communities who face similar challenges. QIT Madagascar Minerals (QMM) is a subsidiary of Rio Tinto, an Anglo- Australian multi national mining corporation. QMM is extracting ilmenite from the southeast coastline of Madagascar in order to produce titanium dioxide, an industrial whitener used in a vast number of products from paint to toothpaste. The project is a Public Private Partnership, jointly owned by QMM 80% and the Malagasy Government 20%. ALT UK developed its ‘Groundswell’ strategy in 2015. The strategy reflects more deeply the approach and work ALT UK has undertaken over many years, based on lessons learnt locally, including through its responsible exit from Madagascar . 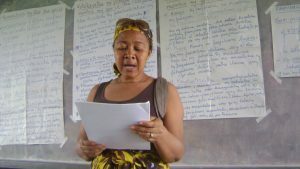 The Trust changed its charitable objects in 2016 to embed the current strategy and enable ALT UK to focus more specifically on capacity building for civil society actors and organisations in the global south; to share lessons and experiences into other regions of Madagascar and beyond, promoting local leadership and ownership of development, and south-to-south exchange and accompaniment. ALT GroundSwell is supported by The Aldama Foundation.